Before portland had world-class brewpubs, or a dreamy wine country for a backyard, or a growing band of merry microdistillers (see “And Now, Meet Your Makers”), it had a serious drinking problem. As early as 1851, moralistas were marching against the abundance of liquor and, according to the Oregon Historical Society, soon got public drunkenness outlawed. Meanwhile, a saloon called Erickson’s Workingman’s Club was busy slinging drinks along what was billed, at 684 feet, as the world’s longest bar. The waterfront was a free-for-all. Portland went dry in 1914, and by the time federal Prohibition arrived in 1920, with the passage of the Eighteenth Amendment, the city must’ve felt more than a little weary of the whole liquor thing. If you’re in the mood to be amused, have a look at the photo titled Temperance Worker with Portland Police, which shows a dazed-looking cop holding a bottle of grog and an old-lady teetotaler standing there looking like she could use a good gimlet. Their ghosts live among us, of course, as we raise our glasses in toast. Prohibition was repealed seventy-five years ago last December—around the time Oregonians were no doubt stuffing holiday stockings with bottles of locally made spirits. The city that couldn’t wait to ban liquor is now getting a reputation for making it. Our “Team Drink” spent weeks sampling beverages across town in order to compile the most delicious, diverse batch of cocktails suggestions possible. (See “Happy Hours”) We were our own jolly band of economy stimulators, and in this category apparently we tend to have company: in 2007-08, the city took in nearly $6.5 million in revenue from the 971 venues licensed to sell liquor (a decade ago, there were 595 licensees in all of Multnomah County). Yeah, we know—tough job. But just because the reporting is fun doesn’t mean it isn’t reporting. Whether we’re recommending shops or trails or drinks or vacation destinations, we stake the Portland Monthly name on our independent reporting. You may not ultimately share our taste, but surely you’ll share our enthusiasm this month for drinks like the Monkey Gland at the Secret Society, and for the fact that five of the city’s eight distilleries are within walking distance of one another—and most are open for tours. I find it interesting that only a few bars call attention to locally made liquors on their menus. The Heathman hotel bar does it, and others should follow suit; surely guests would want to know about the opportunity to taste Apia vodka, for instance, which isn’t infused with honey, but rather is made from honey­—Oregon honey. 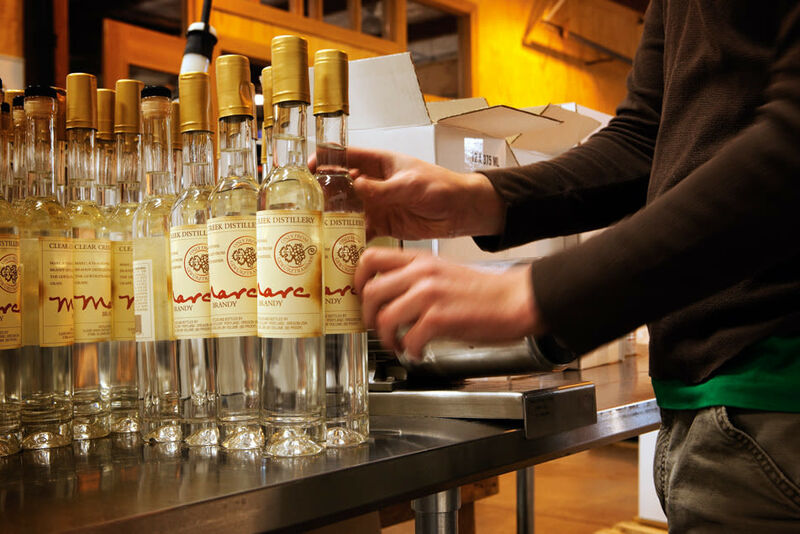 Along with farm-to-table, Portland now lives farm-to-bar. And we all know how Portlanders feel about food.